Foamcore and Duct Tape full-scale replica of my first car that I have now owned for 10 years. This piece was included in my first major exhibition “Earth Air Fire Water” an IMOCA exhibition at the Herron Gallery that ran from January 23 – February 21, 2004. 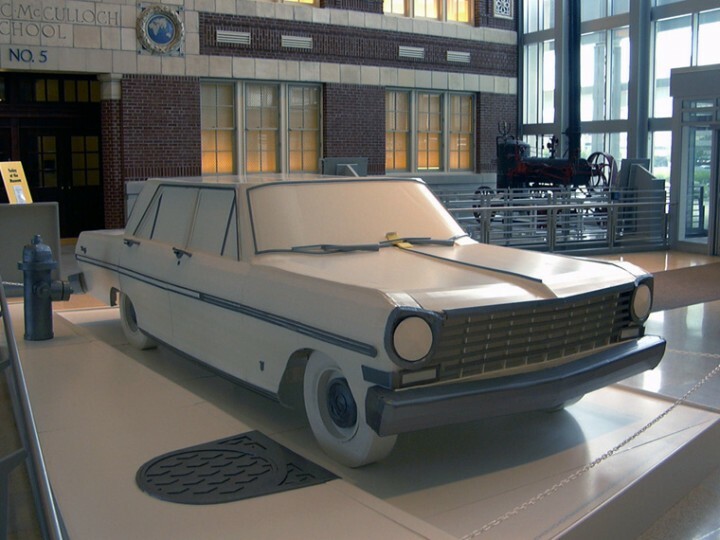 The Nova was displayed again in the exhibition “Some Things Happening: 25 Years of Herron Gallery Exhibits” at the Indiana State Museum from July 3 – September 5, 2004.